Medical effects of marijuana explained. Medical marijuana uses, and more. The medical effects of marijuana are undeniable. Learn medical marijuana uses, and health benefits of marijuana. The medical effects of marijuana can be a beneficial aspect of society if given the chance. Marijuana has been used for medicinal purposes worldwide since it was discovered over 4,000 years ago in Asia. There are over a hundred medical applications for the medical use of marijuana documented and not documented by scientists, and physicians, and users yet our government still spends billions of dollars fighting its use. Thousands of people are arrested and convicted daily for the harmless possession of marijuana. Most of whom are good hard working people with jobs and families. Currently there are 16 states plus the District of Columbia recognizing the medical effects of marijuana to be beneficial and have legalized it for medical use. California was the first to initiate the medical marijuana movement in 1996 with proposition 215. Between 1996 and now, almost every state is working to reform their marijuana laws, many of which are currently pending acceptance in the state legislature. Each state outlines the acceptable terms for medical marijuana use. Licensed physicians are the only persons granted the rights to recommend medical marijuana in these states. Most persons in need of the medical effects of marijuana unfortunately have no way to get it. With 26 of the 50 states still outlawing marijuana, millions of people feel like criminals for using marijuana as a medicine. Elderly, sick, and suffering people are especially effected by the government criminalization of marijuana use. Since in most states you can’t simply go to the doctor to get marijuana prescribed, they may find themselves on the streets talking to kids or junkies that may know how to get some marijuana. We feel that these people in need should be able to alleviate their stresses and pains with legally prescribed marijuana. Learn all the uses for marijuana below. Medical marijuana uses, and health benefits of marijuana. There are many medical marijuana uses for individuals in need, and society as a whole. To start, lets focus on the individual. Why would a person want to use medical marijuana? The health benefits of marijuana are undeniable. Marijuana alleviates pain, and certain disabilities illnesses and diseases. 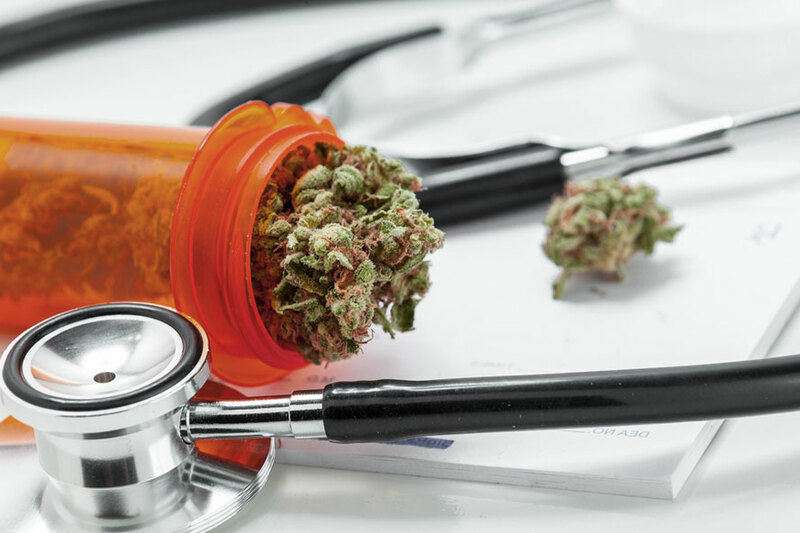 In California, a broad range of illnesses, disabilities, and diseases were approved to use medical marijuana as a treatment for therapy, and medication. symptoms associated with HIV and AIDS, Anorexia, migraine, headache, Glaucoma, persistent epileptic seizures, nausea, Cachexia, and other reoccurring medical conditions. This is only California’s approved list of medical marijuana uses, however, the health benefits of marijuana are much greater. The list is still growing with research and time. In addition to the above list marijuana can be a treatment for arthritis, Crohn’s Disease, PMS, Bipolar Disorder, Tourette Syndrome, tics, ADD, ADHD, Insomnia, Parkinson’s, Alzheimer’s, stress reduction, and the list goes on. The chemicals in marijuana, and the theraputic benefits of marijuana. The medical effects of marijuana are thanks to the naturally occurring chemicals in marijuana, and in the human body. The chemicals in marijuana are know as cannabinoids. There is over 60 different cannabinoids identified in various species of the marijuana plant learn how they give theraputic value to the plant by clicking the link below.